The time that Nov.27-28 were declared holidays, my friends and i immediately booked a ticket to Iloilo so we could visit our friends and head to Boracay after...not knowing that the declaration would be reverted. Argh. So we filed those days as a leave of absence instead. We flew via Cebu Pacific. Unfortunately our flight got delayed. 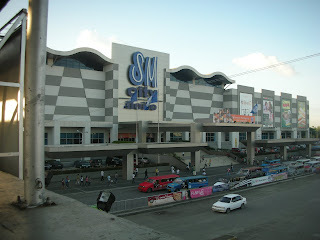 They got a nice airport in Iloilo. 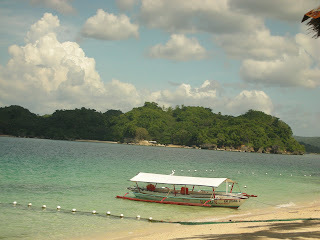 Unfortunately we weren't able to take photos 'coz were already starving. 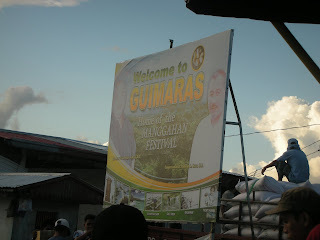 Oh and that's the very stressful Guimaras. Trust me, this photo can't tell how awful our experience there was. It's just so weird that people there didn't know how to treat their tourists well. No wonder, until now, its tourism wasn't as great as that of other islands.